The MBBS entrance examination conducted by AIIMS New Delhi is one of the most stringent examinations in the country. On passing this exam, candidates get admission into the prestigious institutes of AIIMS, which are located in different cities of the country. All in all, there are seven institutes in the country. It is a cherished dream of every medical aspirant to do an MBBS course from one of these institutes. When it comes to AIIMS’ MBBS answer key 2018, they will be made available to candidates through an online mode after the entrance examination is conducted. How can rank be affected by negative marking? It is a general notion that one cannot judge oneself. The same thing is applicable with the examinees of AIIMS. However confident they may be about the result of AIIMS’ written test, they cannot judge their performance and get an idea about their rank in the entrance examination. The entrance exam is so competitive that a single mark is as precious as gold to them. A loss of even 1/3 mark which is deducted for every wrong answer can lower the rank of candidates. Candidates, who have taken the AIIMS’s entrance examination, must be impatient to know about their performance and at the same time their ranks. There are many coaching institutes in the country that claims to provide the AIIMS’ MBBS answer key. But, it is a hoax and candidates should not have a belief in them. They try to mislead students to get popularity. Only AIIMS can make available its MBBS answer key to its student in June 2018, through an online. It has not declared any certain date. With the help of an answer key, candidates will be able to get an idea about their appropriate score. It will be available for three subjects—Physics, Chemistry, Biology and General knowledge. In case candidates find any discrepancy in an answer key, they can object to the concerned department of AIIMS. The problems related to the answer key will be referred to the exam board committee under AIIMS. Appropriate action will be taken for the rectification of errors by authorities. 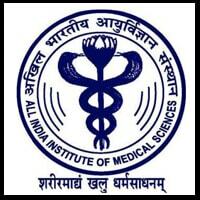 The AIIMS’ MBBS answer key is handy for examinees of AIIMS. Through it, they can judge their performance in the entrance examination and also get an idea about their rank. Since an answer key will be released in an online mode, candidates need not run from one place to another. 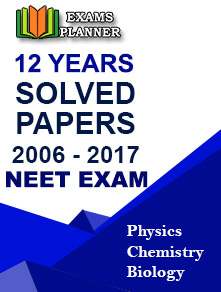 The solution will be available for all three subjects—Physics, Chemistry and Biology—and code of the answer will vary subject wise.